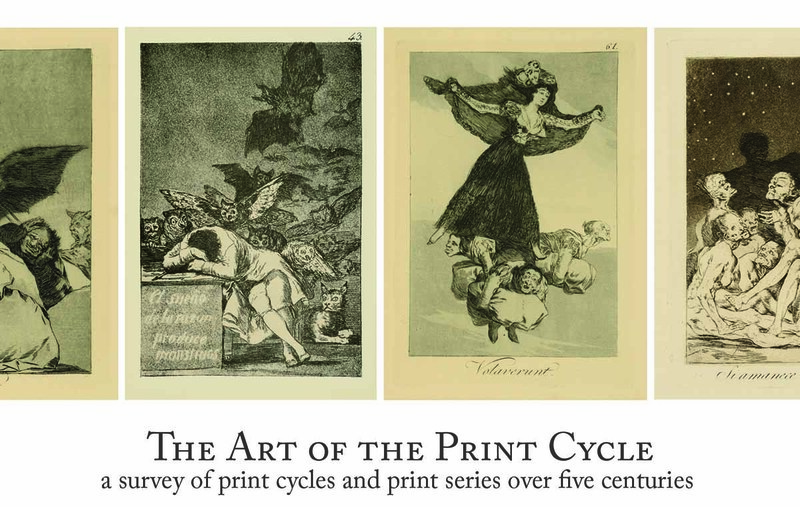 Fine-art printmakers have often been motivated to work in print cycles, or in looser series of thematically related imagery. This exhibit explores the tradition across five centuries and twenty artists, beginning with Albrecht Durer and his print cycle of woodcuts known as the “Small Passion”. Robert Bell curated the exhibit from his collection of fine art prints. He will deliver a gallery talk and tour of the exhibit on the Sunday following the opening; please RSVP.